The Hotel received a Bronze Accreditation from The Green Tourism Business Scheme in June 2006 Situated in the centre of Bristol, close to the M32, M4 and M5 motorway network, and Temple Meads Train Station. This modern hotel is a top class location for Conferences and Meetings. The hotel facilities also includes a Poolside Leisure Club 201 Rooms - Suites Satellite Television - Pay to View Movies Direct Dial Phone Non Smoking Rooms Available Arts Grill &amp Bar 10 Conference Rooms for up to 350 guests Parking for 150 cars (charge). All Ramada Jarvis Hotels offer a media package in all rooms. This package includes high speed internet access and 24 hour movies. This is payable at the hotel or complimentary in Executive DL2 rooms. Please find our Childrens Policy. A child is between 4 and 15. Under 4, no charge. Children sharing adults room pay for food as taken. Children in their own room pay 50 Percent of the adult rate. Midweek, the same rules apply with adult paying single supp if applicable. Extra Bed and Cot on request basis only. 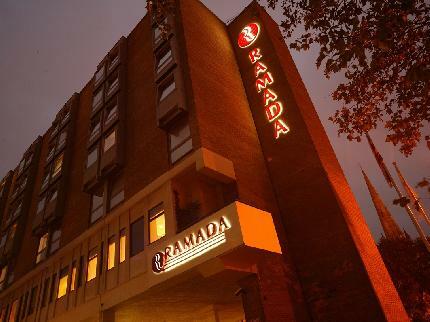 Ramada Plaza Bristol will be closing its restaurant over the Christmas season. Continental breakfasts will be the only food available. PLEASE NOTE: The GYM will be closed from 17 March 2008 to 21 March 2008 and the POOL will be closed from 17 March 2008 to 7 April 2008 for maintenance.